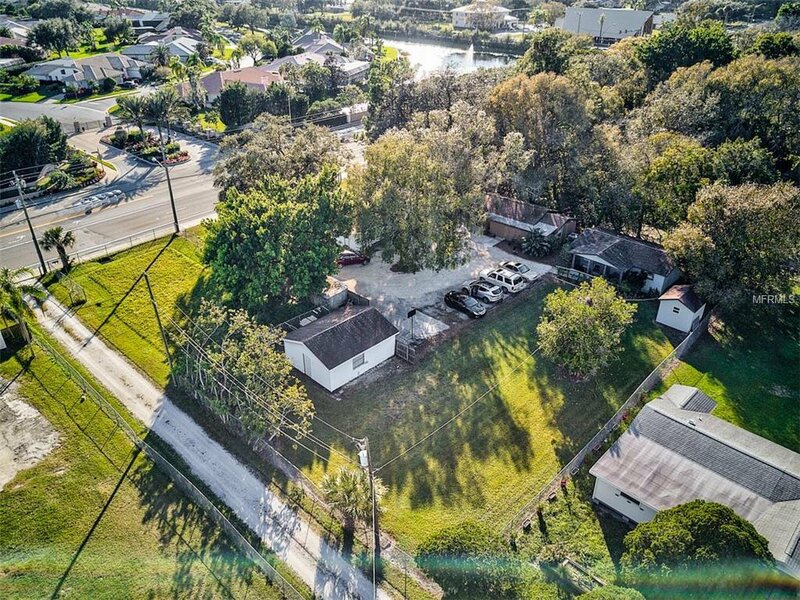 Investors and builders imagine the possibilities with this rare opportunity to own over 1/2 acre in the heart of Sarasota. Three separate homes on the property provide an opportunity as a day care or multi family rental income. The property is accessible by two separate entrances encircling the larger of the tree buildings. This “cottage style” home is light and bright with the Grace home is a 3 bedrooms, 2 full baths and a spacious living interior with a wood burning rock façade fireplace, wood floors, glass panel doors and a large covered and screened lanai overlooking a landscape of mature trees and foliage. The kitchen is fully equipped with appliances and light cabinetry. The Kelly cottage is a 1 bedroom, 1 bath 685 sq ft, also the Marilyn cottage offers a 1 bedroom, 1 bath 660 sq ft. A detached garage, utility shed, and fenced yard provide privacy for your vehicles and tools and plenty of yard space for a garden or playground. There are multiple exterior parking spaces as well for work or recreation vehicles. Bee Ridge Farms is centrally located with easy access to the major highways and I-75 with Venice/Englewood to the South and Tampa/St. Petersburg to the North for easy traveling to work, shopping and recreation.